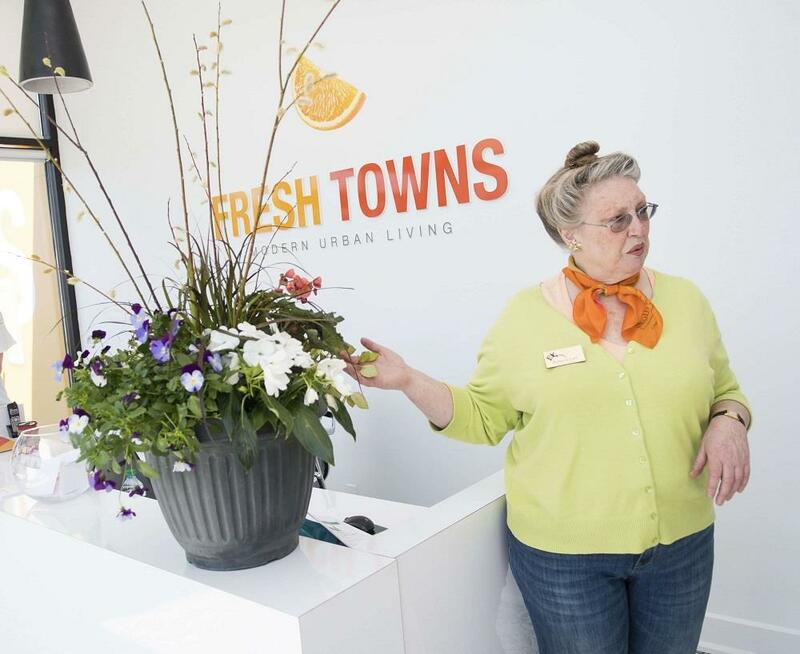 Rebecca Last of Master Gardeners of Ottawa-Carleton, along with fellow experts Catherine Disley and Josie Pazdzior, shared some helpful advice (tips) to make any townhome dweller a true green thumb. Last has been a member of Master Gardeners of Ottawa-Carleton since 2005, and she has won many awards, including the Mary Bryant Award for use of native plants in garden design (2014) from the Ottawa Horticultural Society, the Members’ Appreciation Award (2015), and the Ontario Horticultural Association Service Award for meritorious service to horticulture (2017). Most recently, she was honoured with the Ontario Volunteer Service Award for her work with Master Gardeners. Stephane Razafimahefa Fresh Towns purchaser takes home a door prize. One of the other events thrown this year was the Interior Design Event, where Principal Senior Designer of West of Main, Sascha Lafleur, provided design and decor tips, and presented a few elegant combinations with the Fresh Towns features and finishes. West of Main approached the interior design of Fresh Towns with first-time buyers and young families in mind. The finishes are sleek and contemporary while still promoting the comforts of home. 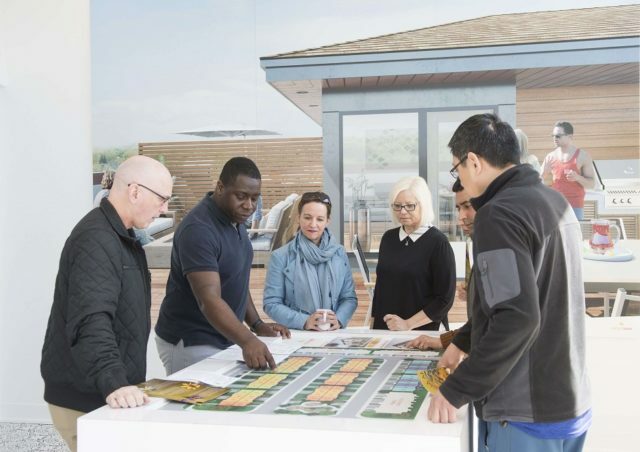 Fresh Towns are available in traditional with backyard and rooftop three-storey, two and three-bedroom designs. The rooftop layouts feature expansive, private outdoor terraces at the top. Available units range from 1,283 to 1,661 square feet with prices starting in the upper $300,000s and reaching the $400,000s. Located at Baseline Rd. and Morrison Dr., Fresh Towns is surrounded by shopping, parks, restaurants, and a variety of entertainment venues. There’s also easy access to Highways 416 and 417. Register for the new release at Fresh Towns! Derek Nzeribe (2nd from left) with Container Gardening Seminar attendees. Greatwise has it figured out – this is how you engage your buyers and prospective purchasers. People are excited to buy a new construction home because they get to pick their features and finishes, so give them facetime with the interior designer! The Rooftop townhomes are a huge hit in Ottawa, so give future residents some tips on how to take advantage of the private greenspace. 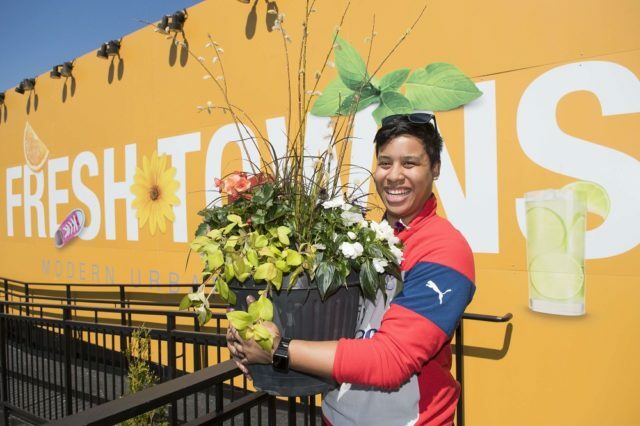 As Nzeribe mentioned, there is a new release coming soon that has both patios and rooftop terraces, so you should register right now to stay updated!